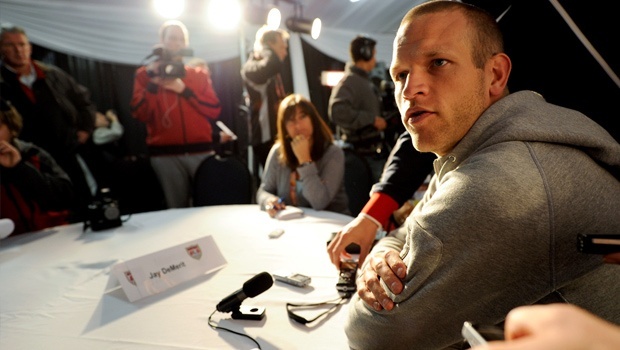 Following up from my post reviewing the Jay Demerit story, I decided to reach out to Jay and ask him four questions. If you can’t be bothered reading that post, here’s what you need to know about his remarkable story. Jay was 22 years old when he graduated from playing soccer in college. He was not picked for any Major League Soccer sides. He decided to move to England with hardly any money with the hope of “making it”. He played Sunday league and eventually for a 7th division club. He impressed in a pre-season friendly against Watford, signed for them and ended up captaining them to the Premier League. In 2010, he played in the FIFA World Cup South Africa for the United States. Me: What do you think 18-24 year old players who want to play professionally, should be doing now to achieve their goal? Jay: I think the first thing you must learn as you’re developing is knowing your strengths and weakness, and being honest with yourself. Working on developing your weaknesses first will help you become a more complete player. The second thing that is important is ENJOYING the grind and the challenge, expecting it, and not getting down by it. For most players, making it pro won’t be given to you. It is earned through hard work, learning from mistakes and when things don’t go your way, and going thru the process. Me: Were there any times where you thought about giving up? Any really difficult moments while you tried to make it? Jay: Of course there are times when you think about giving up. I wouldn’t have been honest with myself if I didn’t think that not making it was a reality. Saying that, I didn’t go over to England just for the sake of it, I went to do what I did. I stayed positive always, knew the realities of the process, and always did what I had to do to keep going in the right direction. I also knew that opportunities would be few, so i had to make the most of them when they came. Me: How often did you train by yourself? Jay: All the time. I found walls to kick off of, found pick up games to play in, did fitness everyday, and made sure that if i got my chance, I would be ready..
Me: What were things you did that improved you the most as a player? Jay says some great things to anyone who has the desire of making their dreams come true. I particularly like what he says about “ENJOYING the grind and the challenge” because 90% of the time you can be struggling and frustrated. What’s just as important as the destination, is the journey of getting there. It’s so important not to be unhappy in the moments where things don’t work out – because you have a lot of moments like that where you feel like breaking down. So.. thanks Jay for providing us with these answers! You can follow him on Twitter here.